All LEGACY AT FREEMAN FARMS homes currently listed for sale in Gilbert as of 04/22/2019 are shown below. You can change the search criteria at any time by pressing the 'Change Search' button below. "Welcome Home! 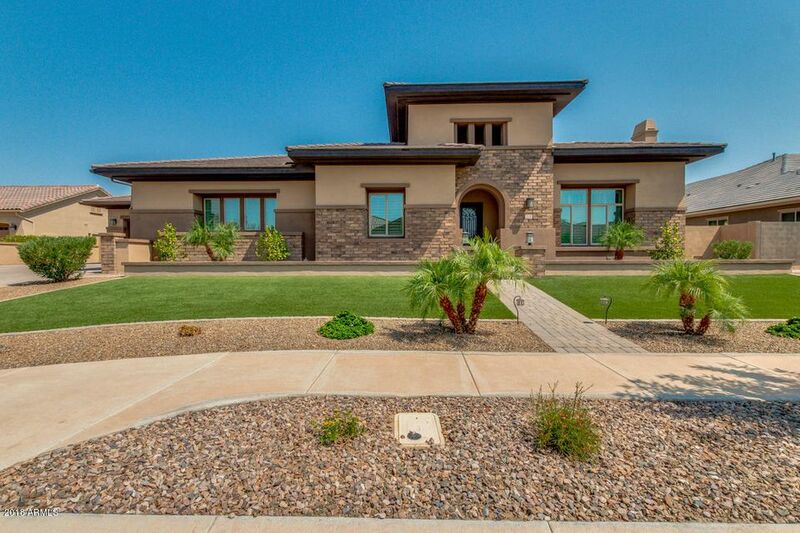 Outstanding property located in desirable Gilbert is in impeccable condition just waiting for you! Featuring 5 bed, 5.5 bath, artificial grass front and backyard for easy maintenance, 4 car garage, RV gate, plantation shutters, cozy fireplace, living/dining area, wet-bar, and designer paint tones throughout. Gourmet kitchen is complete with recessed/pendant lighting, walk-in pantry, huge island with breakfast bar, granite countertops, tiled back-splash, and sparkling stainless stee"